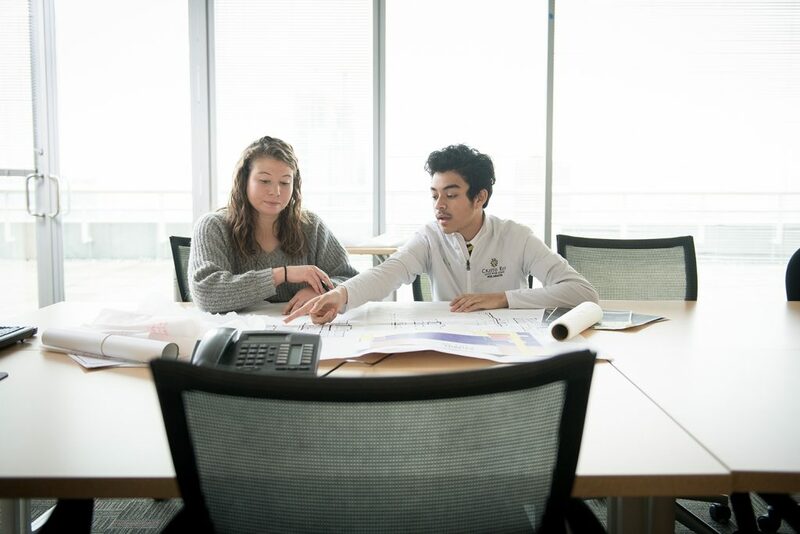 When high school sophomore Brayan Perez began his internship in CannonDesign’s Baltimore office, he never knew how much his experience would influence his future. Brayan, a 4.0 student in his senior year at Cristo Rey Jesuit High School, is now positioned to graduate with incredible college and university prospects. His unique three-year internship with CannonDesign has taught him not only technical skills in his desired field but also how to communicate with project teams and gain the confidence needed to conquer anything that comes his way. 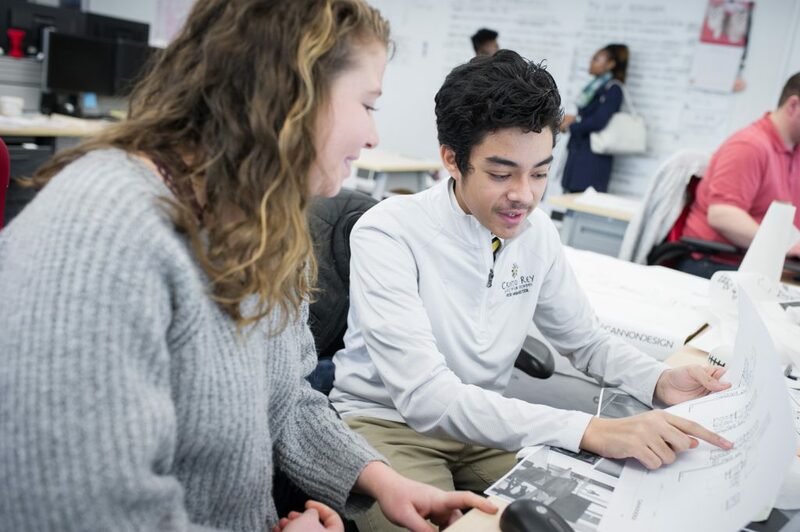 At Cristo Rey High School, students are required to participate in a Corporate Internship Program (CIP) where they can learn and grow through entry-level jobs at businesses and non-profits throughout the Baltimore area. Through CIP, the students are able to contribute to the cost of their education by working five full days a month. CannonDesign has been a proud supporter of the program for three years. Students are welcome to explore different internships as an option, but Brayan, who wanted to gain as much STEM experience as possible, decided after his first year that CannonDesign was the right choice for him. He worked with a diverse team of leaders to learn the ropes. Briana Jones, a rising leader in the Baltimore office and a member of the firm’s prestigious NEXT Council, was Brayan’s direct supervisor, overseeing his schedule and work. Erin Crowley, with a background in Interior Design, was another one of Brayan’s supervisors, giving him an even broader array of tasks and perspectives than many would experience on an AEC team. Adamant about not giving Brayan mindless “busy work,” his two mentors empowered him to make meaningful contributions on an array of projects that even a seasoned professional would be proud of. 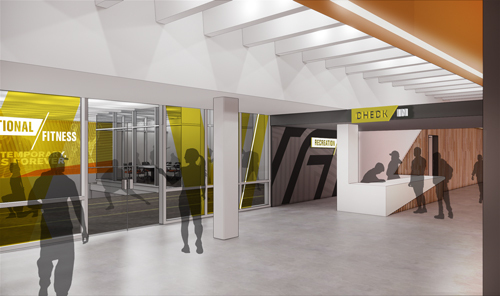 His portfolio includes the 340,000 sf University of Maryland Cole Field House that combines athletics, medicine, research and entrepreneurship into a one-of-a-kind fusion facility. This was the first project he was introduced to, contributing to markups, room tags schedules, and making sheets graphically correct. 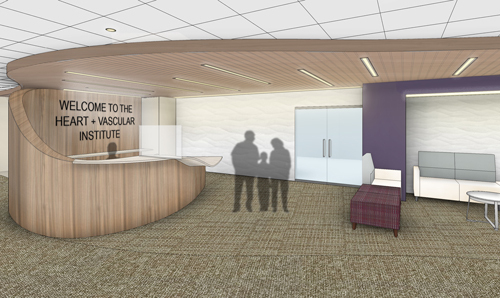 Then, during his junior and senior years, he helped document the elevations of spaces within the orthopedic clinic for the Design Documents deliverable. The Towson University Science Facility is a 300,000 sf building designed to serve present and future faculty and student needs. 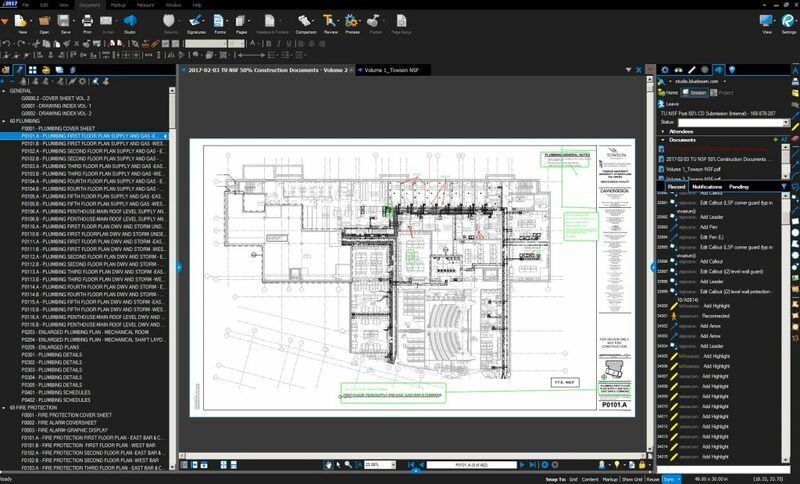 Brayan was able to collaborate with coworkers picking up markups from team Bluebeam sessions. 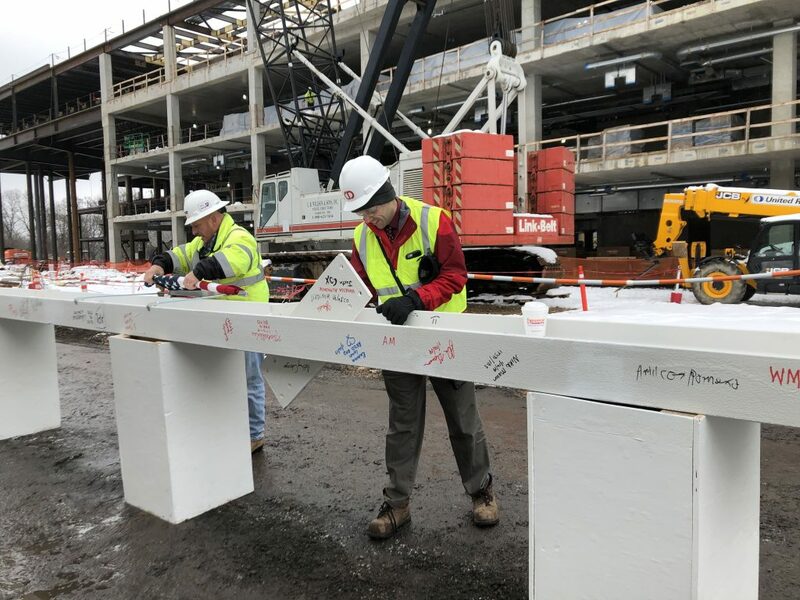 He also worked with Alec Dumond on slab edge coordination plans that were regularly distributed to the structural engineers, as well as working with Alec on a curved stair section details for the 95% Construction Documents set. 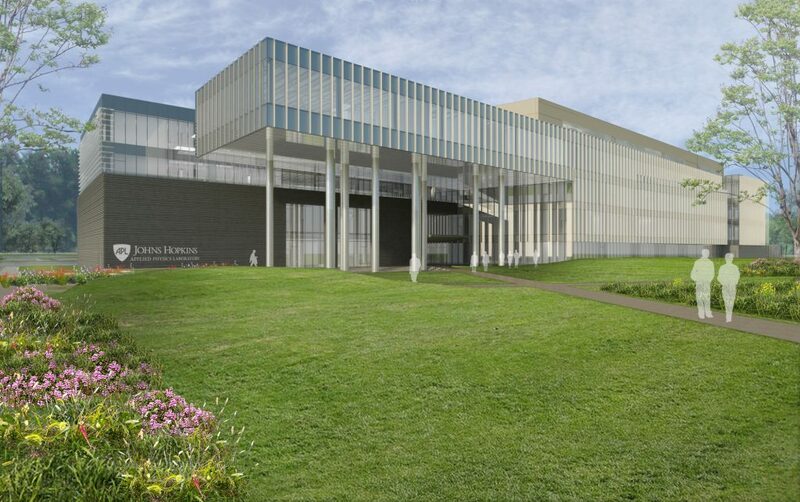 Sheppard Pratt Health System’s new hospital campus is a 156,000 sf hospital that focuses on mental health treatments. Brayan was asked to create a collaborative room for employees while merging the collaborative core with the stair to minimize wasted space. This exploration was fun and unique to Brayan, as he largely worked more independently on these tasks and regularly reviewed his design ideas with people on the team, like Christina LoConte. He worked with new software, like Rhino and Grasshopper, to create the collaboration space and model stairs. Afterwards, Brayan 3D printed the collaboration room with the help of Adam Louie. Virginia Tech’s War Memorial Hall offers students remarkably unified health and wellness programming long into the future. 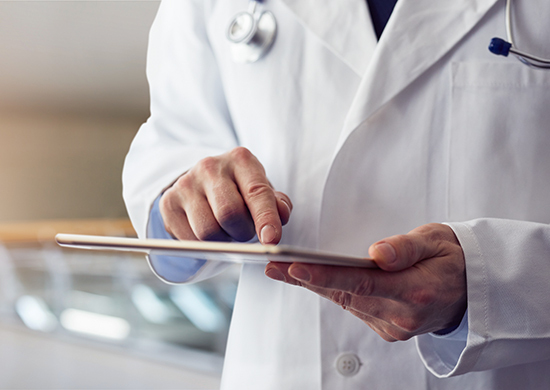 This has been a long-time project for Brayan that has given him exposure to the phases of a project and a complex understanding of how higher education and health are tied into this one project. He had the opportunity to get involved in the early stages of space planning and preparing for user meetings. As the project progressed, he was just as involved, helping to push the design intent for the interior of the building and working with the team to put together the latest set of DD drawings. 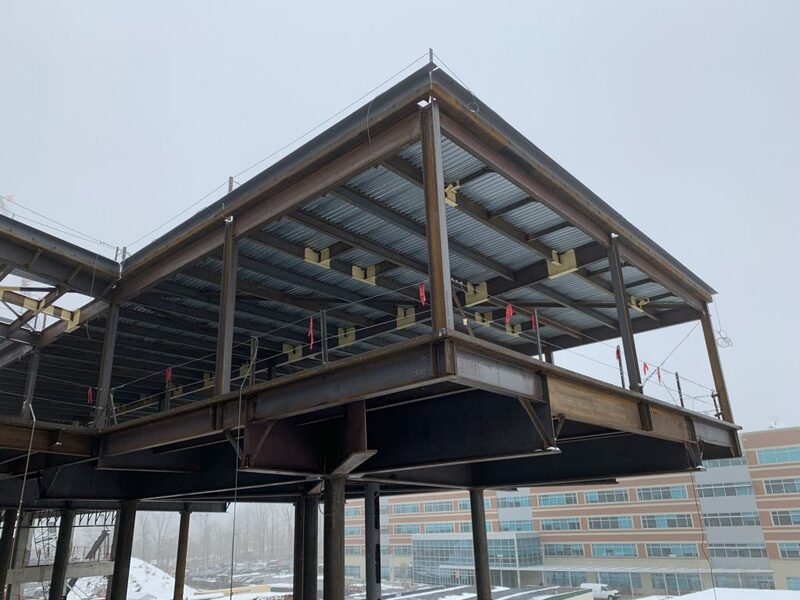 While on the Lancaster General Hospital project, Brayan contributed to the Quality Check/Quality Assurance process for the Phase 3 100% Construction Documents. 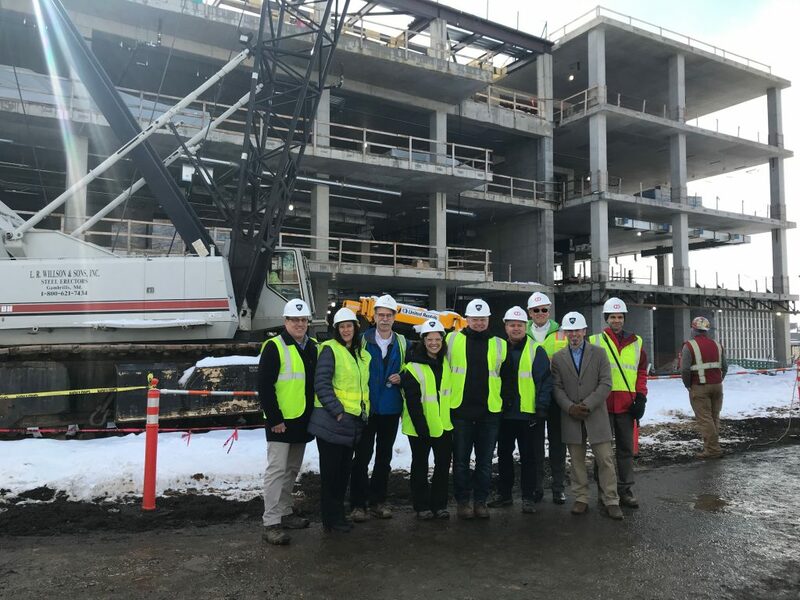 For the multi-phased hospital renovation project, Brayan helped with the wall type schedule and markups while learning about the challenges of a multi-phased project. For the wall type schedule, he went through the plan and checked if the wall partition types were correct and made sure to coordinate the wall partition schedule as a reference to make any corrections on the wall types. 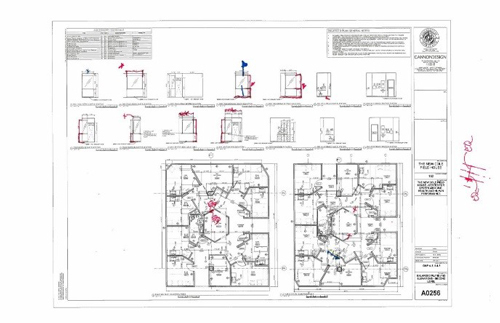 As the project neared its “Issue for Construction” deadline he referenced Ashley Roe’s markups and corrected any graphic mistakes in the Construction set. Aside from project work, Brayan has always been very interested in learning more about our engineering practice. 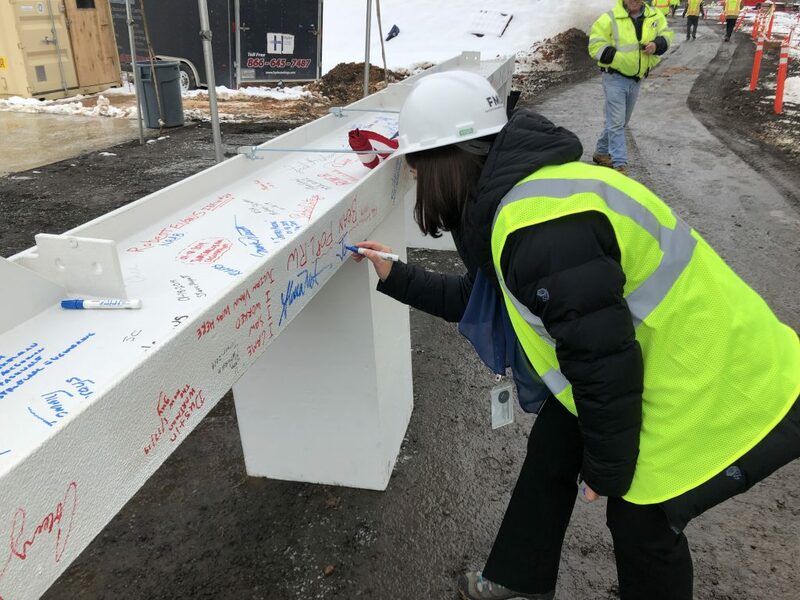 Briana leveraged a NEXT connection to structural engineer Julie Shaw in St. Louis. Julie worked with Briana to amass a mentoring group of emerging leaders across the firm that they called Mentoring Academies by Engineers (MAE). The team allowed Brayan to truly run the show, using Microsoft Teams to manage communication. Through one-on-one collaborative and discursive academies, Brayan was able to hear more about their roles and learn about all of the different engineering disciplines. Brayan is currently applying to colleges and universities for engineering, so this provides him with a great opportunity to learn more about this particular academic and professional career. Colin Hale and Trevor Ingstrup have given Brayan great time and insight thus far, with anticipated mentoring from structural and plumbing before his last day at the Baltimore office in May. But it was not only the phenomenal project experience and career insights that Brayan credits to the CannonDesign internship. He also learned valuable soft skills that he will carry with him for the rest of his career. At the outset, he admits he was a quiet kid and was nervous working in an environment surrounded by adults. But, after mentoring from Briana and other members of the Baltimore office, he became more comfortable contributing to group meetings and sharing ideas. Brayan is a shining example of what a high school student can accomplish in an engaging and welcoming internship program. We wish him all the best in his future endeavors in college and beyond!